Currently Will is enjoying playing for Motown The Musical at The Shaftesbury Theatre in London, having previously held chairs on several other West End Shows and tours. 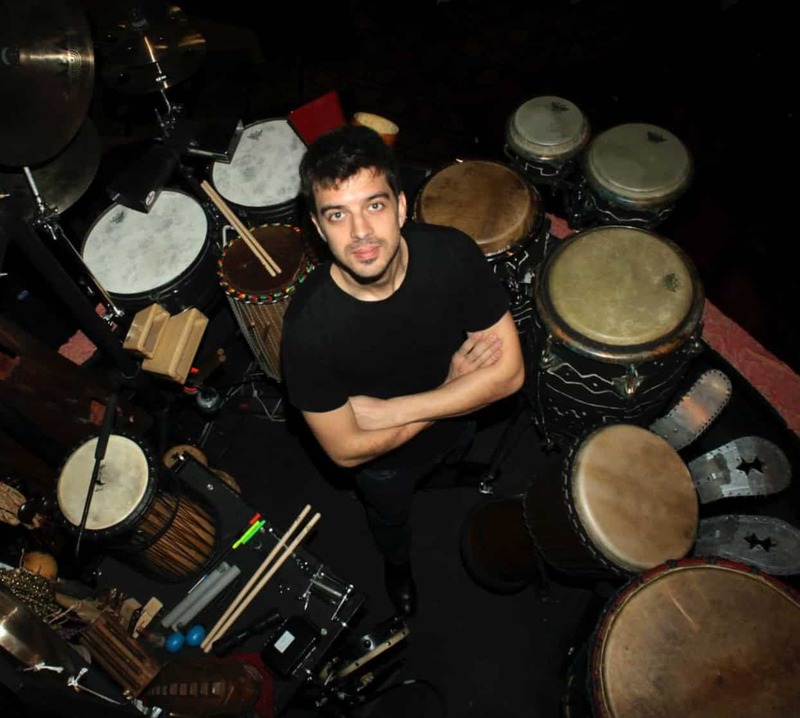 He is a band member in original groups led by Ola Onabule, Edwin Sanz, Julian Bliss, Sola Akingbola, Senegalese master-percussionist Mohammed Gueye’s Mbolo Percussion and accomplished Latin Jazz pianist/composer Eliane Correa’s En El Aire Project. Will has performed in over thirty countries across six continents and is fortunate to have taken classes in Cuba, The USA, Brazil and Senegal with many of the greatest names in Latin American and West African percussion, including Changuito, Marcos Suzano, Massamba Diop, Roberto Quintero, George Delgado, Sidiki Dembele, Rumberos de Cuba and many more. Growing up in Brighton, Will’s diverse musical upbringing included the violin (ABRSM grade 8), classical piano, West-African djembe, Indian tabla, as well as orchestral percussion and drum kit. Eventually, he found an affinity for Latin American percussion and following some invaluable lessons with David Pattman, he was invited by Alex Wilson to join his Salsa Orchestra in his late teens. Relocating to London at 20, Will quickly began working with an eclectic group of influential artists including Son Veneno, Jamiroquai, Roy Ayers, Snowboy, Roberto Pla, Duffy and Nathan Haines, whose performances included the Java Jazz Festival in Indonesia and Ronnie Scott’s in London. Will toured extensively in 2011/12 with Trinidadian poet and bandleader Anthony Joseph including a performance at The Fuji Rock Festival in Japan and at Jazz à Porquerolles where he collaborated with the prominent saxophonist Archie Shepp. He has the pleasure of performing and recoding in Podor, Sengegal with Baaba Maal and The Very Best at Maal’s own music festival, Blues du Fleuve in 2013 and in Nigeria with Ola Onabule, headlining The Lagos Jazz Festival in 2014. As an educator, Will has been a regular contributor to the tuition pages of Drummer and idrum magazines. he teaches privately from his studio in SE London and has given percussion masterclasses in the UK, New Zealand and Estonia. Will continues to develop his own musical knowledge and various playing techniques for his unique and ever-growing arsenal of percussion instruments from around the world. Will proudly endorses Sabian Cymbals, Gon Bops Percussion, ROLAND electronic percussion instruments, Vater Drumsticks, Porter and Davies tactile monitoring systems, CRS Cymbal Resonance System and Protection Racket cases.